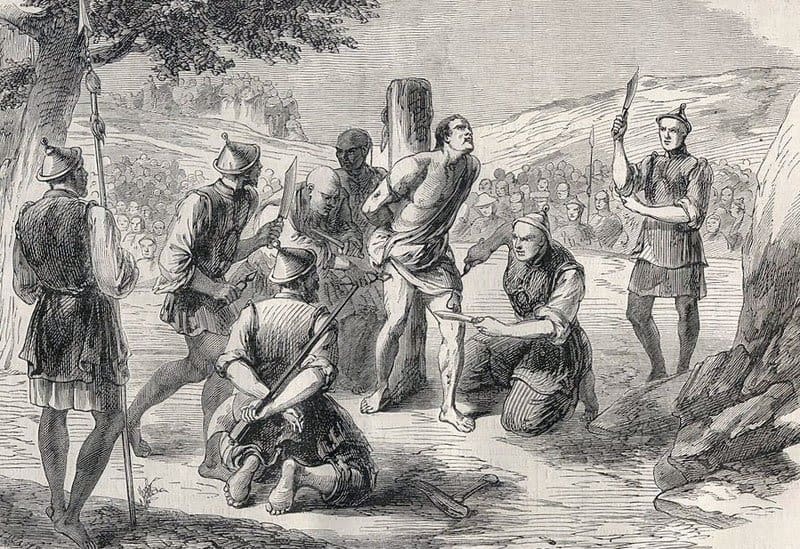 If you’re reading this right now, then the chances are really, really high that you were never executed and tortured in any of the following methods. Also, thanks to our newly improved legal system, which tends to work more often than not, we no longer allow such execution methods to be in place within our justice system. These, however, are ten of the very worst ways anyone could ever die, and many, many people actually did die like this. 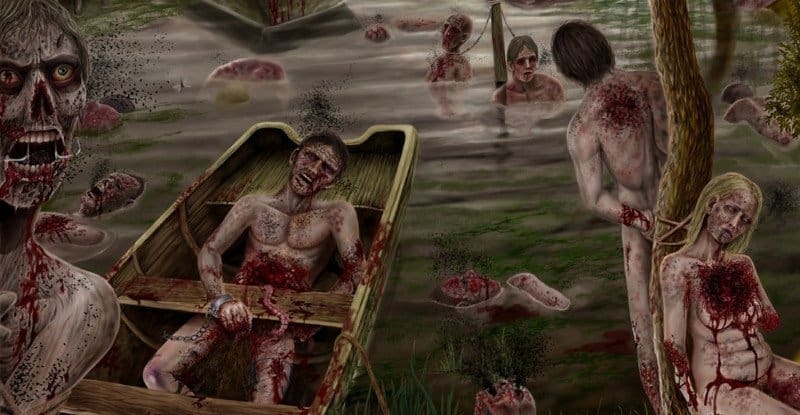 Scaphism, an ancient Persian means of execution, was when a single person was stripped naked and places within a tree trunk so their head, hands, and feet were left sticking out in the open air. They were then forced to drink milk and honey so they would have diarrhea, which would get all over themselves. Insects, attracted to the stench, would eat the person alive, breeding within their skin. Republican Marriage, one of the more odd means of executing people, happened in France. 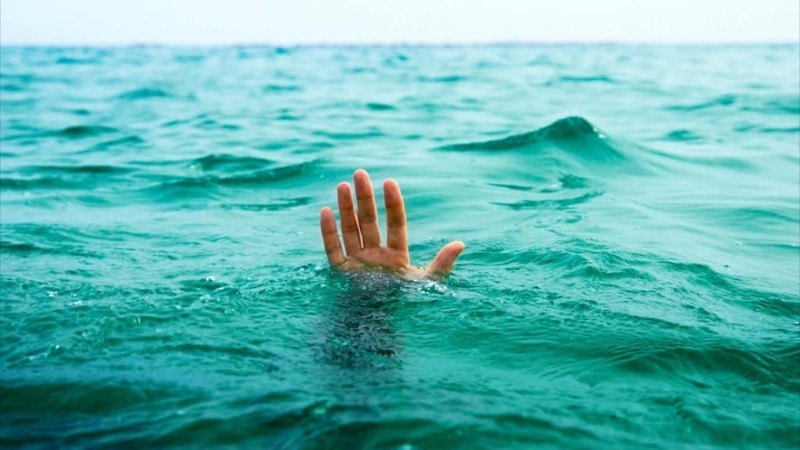 This involved a man and woman being tied together before both of them were thrown into a nearby river to drown together. Mostly used within Southeast Asia, Execution by Elephant ended with a lot of crushed men and women. 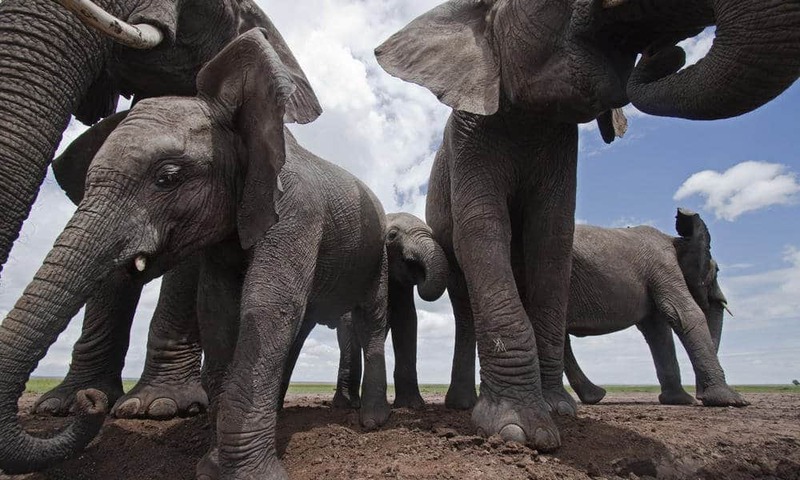 Elephants were trained to prolong the death of their victims, and was also used to show the ruler of the area was in charge of animals and nature. 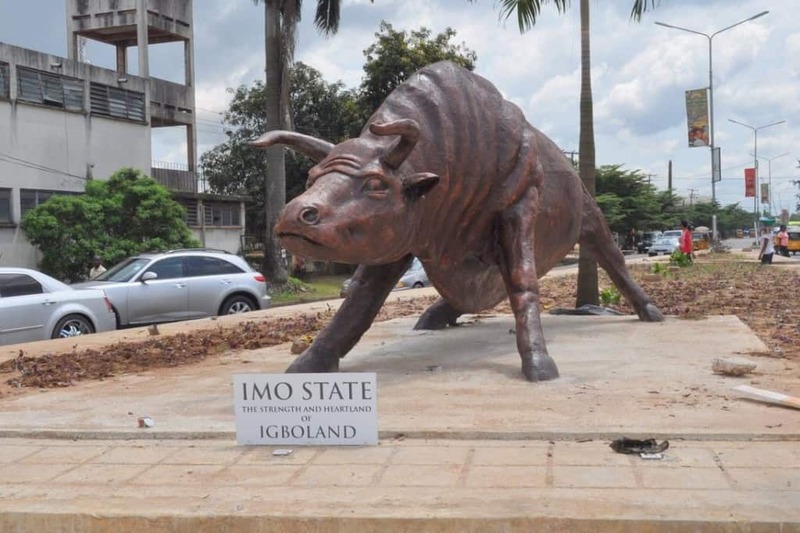 The Brazen Bull, which people have seen in many movies, features an iron or brass bull with its belly opened and available for the victim to lay within. A fire was then lit underneath the bull, which roasted the people alive. “Bull sounds” escaped from the open nostrils, along with massive amounts of smoke and steam. Colombian Necktie, which was used in Columbia, obviously, is a favorite of the drug cartels. 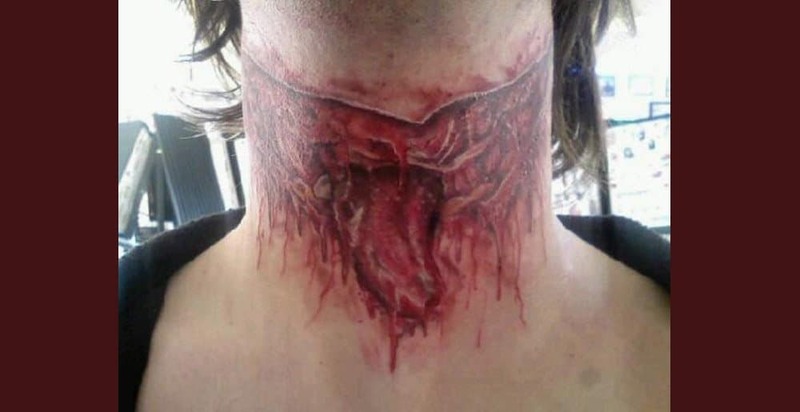 The victim’s throat was torn open, and their tongue was pulled through the opening. This was generally used as a warning to other people not to mess with the cartel. 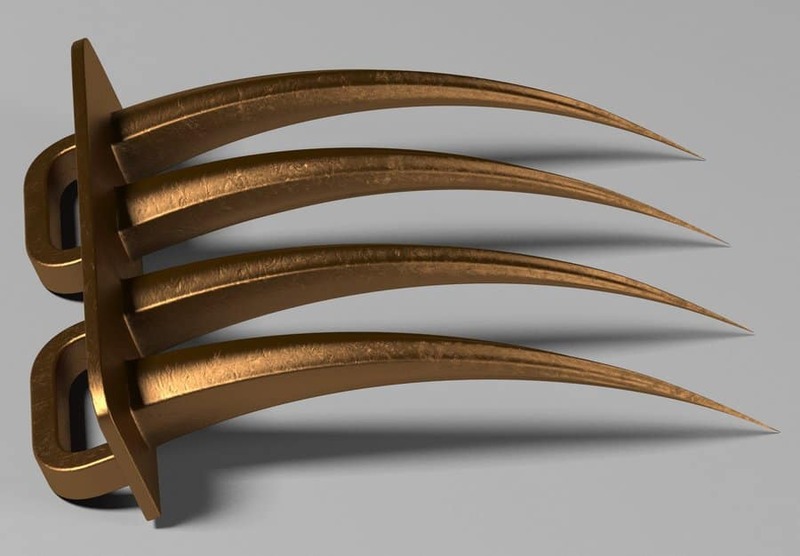 The Spanish Tickler, otherwise known as the cat’s paw, was used by an executioner to remove and tear skin from a victim. Death would take a long time, as infection would set into the wound before anything else. 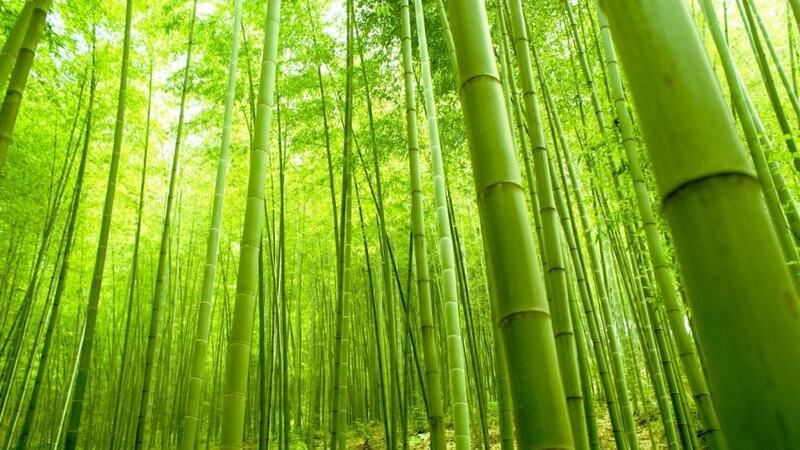 Bamboo, which is a slow and painful way to die, was used throughout Asia. The victim was tied over several sharpened bamboo sticks, which grow up to 1 foot per day. These sticks would then penetrate the victim slowly, impaling them. 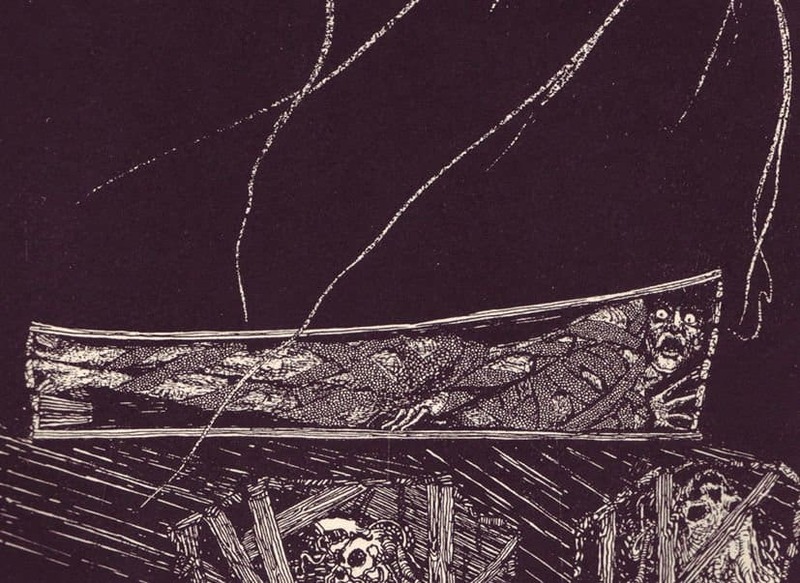 As the name implies, a Premature Burial means the victim is buried within a wooden coffin completely alive, so they can breathe and feel themselves suffocating six feet under the ground. The most recent occurrence of this execution method was during the Nanking Massacre in 1937. Ling Chi, known as “death by slow cutting” or “lingering death” is a form of execution outlawed in China at the start of the 20th Century. This involved slowly cutting pieces off of a victim and removing them while attempting to keep the person alive as long as humanly possible. Used mostly in Nordic times, the Blood Eagle features cutting the ribs from the back of the body, through the spine, and breaking them to resemble that of wings. The victim’s lungs were then removed from the opening, and salt was tossed in.